A start-up online apartment directory is betting it all on the popularity of online reviews. Swapt just launched in beta a few weeks ago, but a spokesman says the company is already outpacing Yelp for local listings, according to a report. On the website, which boasts 250,000 listings, testimonials are provided that both sign the praises of nice properties, and point out details about bad ones. One tenant complains of HVAC units sounding like “idling trucks” and inaccurate thermostats. 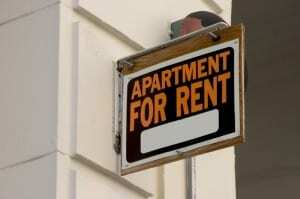 The stated mission is allowing tenants, friends and visitors to report stories about rental apartments so that prospective renters can get a better picture of the overall value. The company’s cofounder told reporters that means the method is working, and apartment seekers like it. The company quickly is gaining traction in San Francisco, Washington, DC and New York City, according to the report. Online apartment reviews have quickly become the pulse for most online apartment seekers. A recent poll announced by Apartment Guide proved that renters are watching carefully what other people are saying about a rental property on the Internet. Are you? It’s important for landlords to check what former, current and prospective tenants are saying. Did they have a bad experience that warrants a change in management policies? Are negative comments appearing without a landlord rebuttal? Should a commenter be called out over a defamatory stab?